Leading Manufacturer of mechanical dial type bearing ht gauge from Pune. With an objective to stand tall on the expectation of our respected clients, we are devotedly engaged in manufacturing, exporting and supplying a broad array of Mechanical Dial Type Bearing HT Gauge. The offered gauge is skilfully manufactured by our tireless personnel utilizing a top class raw material with the support of industrious workers in tandem with existing norms of quality. 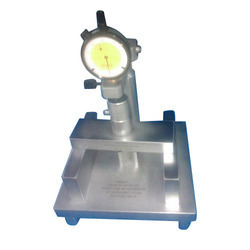 Besides this, our customers can avail this gauge at rock-bottom prices.